Phone: I do not have one (well, I do, but I don't answer. please use email.). 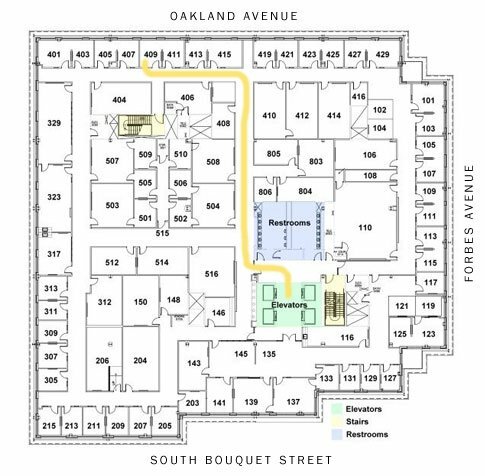 Directions: Find Sennott Square on Pitt's campus, take the elevator to the 6th floor. My room number is 6409. Here is a campus map that shows Sennott Square. Metered parking can be found on the street, or in the garage underneath the building.